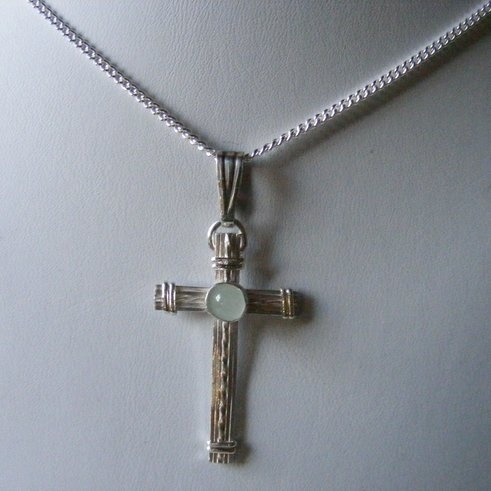 This sterling silver, one of a kind, piece, is a memorial cross made with a snippet of hair underneath the stone or a bit of ashes of your loved one. That makes it so you can wear something of your loved one next to your heart at all times. I can use almost any stone you would like on this cross. Some people want their loved one's birthstone on there. When you get to the paypal cart please leave me a message in the message box as to what stone you would like to have or email me with any questions.